Nneka Jones Tapia, the former executive director of Cook County Jail, knows what it’s like to have a parent behind bars. She remembers weekly visits as a child to share Sunday dinner with her father, who was incarcerated for several years for possession of drugs. Some of those risk factors, according to a recent study, include engaging in unhealthy behaviors and skipping needed health care. Jones Tapia left Cook County Jail at the end of March. Now, she’s leading a new initiative at Chicago Beyond, an organization dedicated to addressing youth equity. In her role, Jones Tapia will address the mental wellness of children whose parents are incarcerated as part of the group’s newly launched Leadership Venture initiative. Jones Tapia served as executive director of the jail for nearly three years before beginning a fellowship with the Institute of Politics at the University of Chicago this past spring. Before being named as jail warden, she served as the first assistant executive director in the Cook County Sheriff’s Office, where she oversaw mental health strategy at the Cook County Jail. Prior to that, she worked as the chief psychologist at Cermak Health Services, the county jail’s onsite medical and mental health provider. 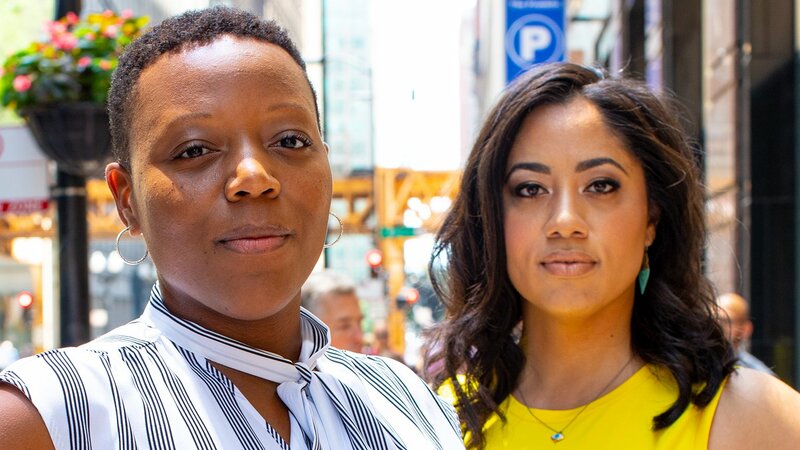 Both Dozier and Jones Tapia described one another as “kindred spirits” because of their shared experiences and efforts to create equity in marginalized communities. As she settles into her new role, Jones Tapia has been speaking with community members about how to best address mental wellness. Note: This story was originally published July 17, 2018. It will be updated with video of our conversation with Jones Tapia and Dozier following our Thursday evening broadcast.